Life is not easy. There is never enough time for everything that needs to be done on any given day. 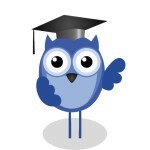 Time commitments are more acutely felt when in law school. I am a non-traditional law student with a wife, one pre-teen and one infant daughter, a big dog, and I live two-and-a-half hours away from home at law school during the week. My wife and I often embark on our weekends with grand designs of getting so much accomplished: meal prep, family time, grocery shopping, a date-night stroll through the Super Target, housework, and (if we are lucky) some romantic time. Without fail, by the time we get to Sunday night, we realize we have failed to complete most of the planned activities, have to scramble to get ready for the week, and inevitably ask where all of the time went. This article is designed to help the beleaguered law student manage his or her time a bit more effectively, both in law school and in life. How Do You Prioritize When Everything Is #1? In my pre-law-school life, I worked as an emergency manager. One lesson I learned through years of experience is: If everything is top priority, nothing is top priority. One key to managing time commitments in law school classes and activities, as well as in your personal life, is to figure out what your priorities are. Of course, it’s all important, but what needs to be done now and what can wait until Thursday? What are the critically important tasks, what are the things you are dreading, and what matters to those people in your life that care about you? Prioritization requires discipline and honest reflection. Putting something off because you don’t want to do it undermines the system. Be honest and assign a priority to each task, from case briefing and outlining to date night and laundry. Once you know the relative importance of each activity, it will be easier to assign it the appropriate amount of time on the appropriate day of the week. This is true for law school activities and life. A typical day in the life a law student involves several classes, some anxiety, lots of reading, a professional’s quantity of writing, and a little job or internship to keep things spicy. With so much to do, it is easy to suffer from the “paralysis through analysis” problem: You have so much to do, you don’t know where to begin, and you shut down a little. This is a scary place to be in the middle of the semester. It’s an open door for the infiltration of distractors. Like silent predators stalking all law students, distractors can signal the death of productivity and success in law school. It’s important to find a school-work-life balance, but when the distractors creep in, you have to be strong, take a breath, fight them off, and refocus on the priorities. Take a walk, take a bath, take a meal, or a Coke and a smile. Whatever you do, get your head back in the game. You have identified the priorities (red, orange, yellow, and green), you have silenced the stalking distractors, now it is time to create a study plan based upon your various commitments. Some people like using an old-fashioned book planner, others have embraced the blooming world of apps to organize their time. Either way, you have got to budget your time in a format that is easy to maintain, easy to follow, and allows you to easily see what is next on your agenda. 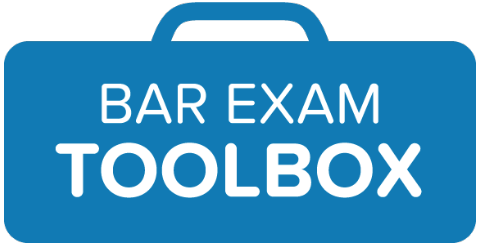 Many experts say to plan for studying, including breaks, meals, etc., especially during bar prep. 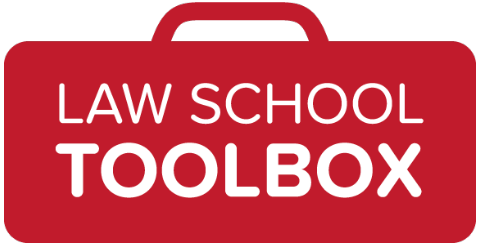 Certainly, during law school, you should be able to identify from your course load how many hours outside of class you will need to be prepared for cold calling. However, it is equally important to budget (and schedule) time to go to the gym, do laundry, have dinner with your significant other, meal prep, and the occasional visit to the favorite law student watering hole. The point is, as you develop your schedule and plan, include everything. You are far more likely to complete tasks and follow through if you have a schedule or calendar entry looking up at you screaming to be checked off. It’s not too late to start, even if you’re halfway through your last semester of law school. This tip can help in your work and personal life long after you exit the hallowed halls of whatever law school you are attending. If you don’t give yourself a break from time to time, even the most tenacious law student can burn out. Part of achieving and maintaining optimal law school and life performance is to remember that you are not a machine. You need break. Striking a meaningful balance between school activities, classes, work, your family, and you is critical to optimal performance. Make time for yourself, make time to recharge, and make time to reflect on the successes you have experienced. This type of reflection can help to bring the big picture into focus and enhance your time management habits. Remember, you can do this with just a few resources, a little discipline, and a smart approach. When I was in the Army, the mantra was “work smarter, not harder.” These tips will hopefully help you follow that advice in law school and in life.